Democratic presidential candidate Hillary Clinton speaks at the African Methodist Episcopal church national convention in Philadelphia, on July 8, 2016. Hillary Clinton's presidential campaign says the Democratic candidate will appear in Springfield this week. 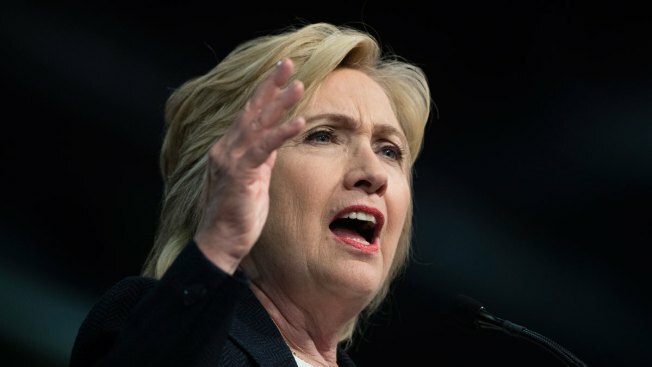 Clinton's campaign said in a news release Tuesday morning that she would speak Wednesday morning at the Old State House in the Illinois capital. The campaign says she will "discuss building an America that is stronger together and an economy that works for everyone, not just those at the top." The former Secretary of State and U.S. first lady is the presumptive Democratic presidential nominee. The Democratic National Convention is later this month in Philadelphia.